Lots of classics are coming back. Classic drinks (the Moscow Mule), classic dress (the bowtie), and now the classic shave: ClassicShaving.com. The word “classic” comes from the French word “classique,” and from the Latin word “classicus,” generally referring to those things that possess a timeless quality and are “of the highest class.” I wonder if Spartacus, Leonidas, or Marcus Aurelius enjoyed a shavis classicus? 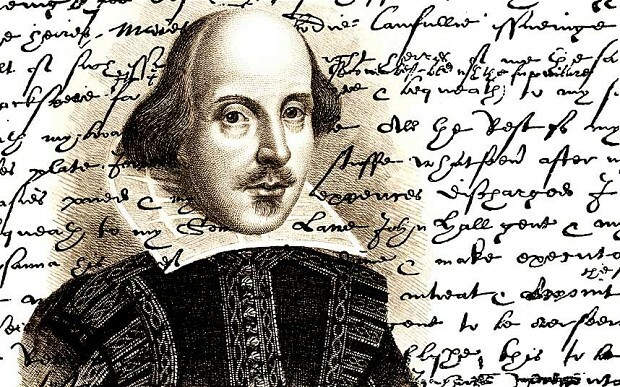 In modern times, we often pay homage to classics. We learn from them as foundations, and often weave into our daily life those aspects that still ring true. Whether it’s classic literature, classic architecture, classic warfare, classic rock, classic dress or a classic shave, the best modern man is one that has a good grasp on the classic practices before his day. 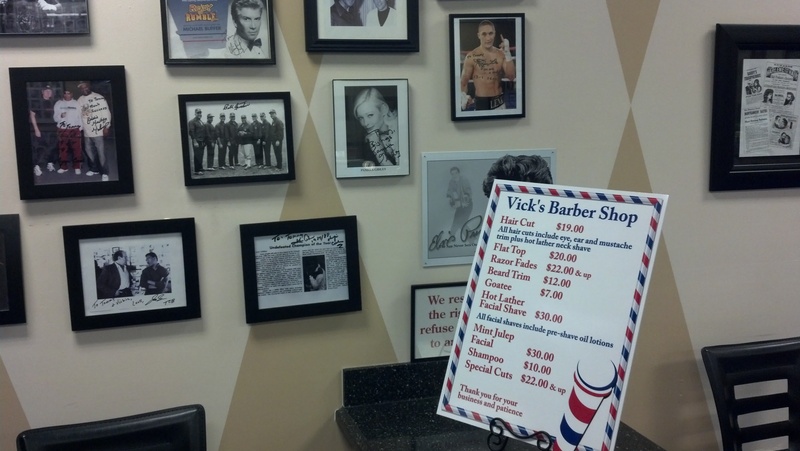 For the last few years, more and more men are returning to the classic shave. It’s the routine your father or grandfather probably followed, as well as original businessmen, railroad men, soldiers, pilots, John F. Kennedy and Teddy Roosevelt, Clint Eastwood and Sean Connery. It’s most likely the best shave we’ve discovered, despite silly and rather wimpy modern advances that try to outdo each other. The benefits are fivefold: products that are better for your skin; a relaxing, contemplative process instead of an annoying task; considerable financial savings; a huge reduction in plastic waste; and perhaps best of all, a masculine array of tools and techniques that resemble the art of smoking good cigars, drinking fine spirits, or restoring a 57 Chevy. Primitive men used shark’s teeth and clamshells to depilate themselves. You don’t have to go that far back. Of course “classic” is about what works best overall, not necessarily the oldest or the latest, nor the quickest or the easiest. It’s impressive that the ancient Egyptians, along with strong skills in science, mathematics, and architecture, excelled in shaving. They introduced hot towels to soften skin and open pores pre-shave. Sound familiar? Apply a hot towel or take a hot shower pre-shave. A room full of shower, steam and heat setup a satisfying spa-like shave. Procure a shaving brush with natural bristles – badger bristles are the best. 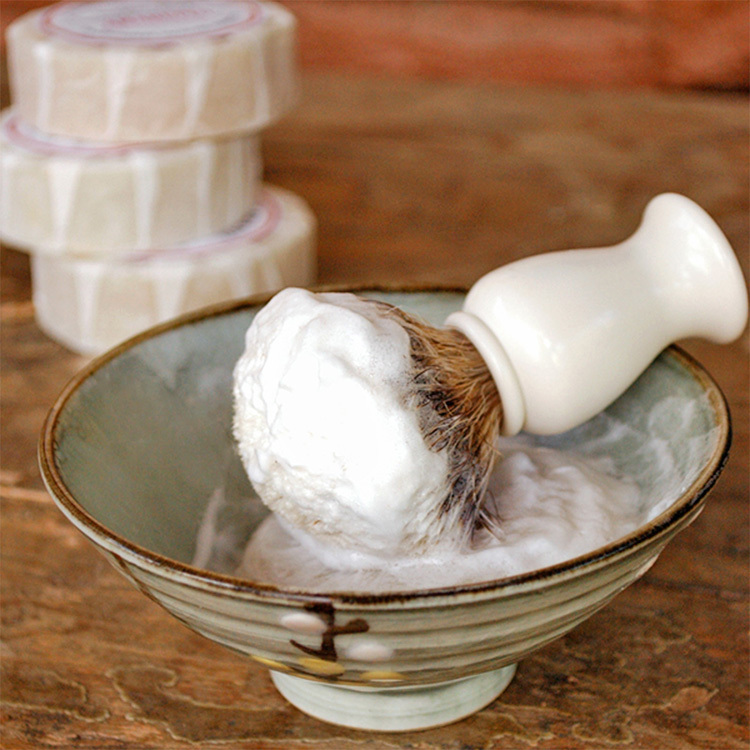 Use premium shaving cream or shaving soap with few to no chemicals, they smell great and improve the skin. Work the cream into a thick lather with vigorous circles on your face. The bristles and motion hydrate the cream so as to form richer, fuller lather. The brush also helps get the cream up under each whisker for smoother, closer shaves. The circular movement even exfoliates your skin, making the whole process akin to a mini-facial. For the shave itself, learn to use safety razors, which are far cheaper and even better than disposable razors (yes even the Mach 3 Turbo), though they take time to truly master. When you have mastered these, you’re ready to try the final step to the classic wet-shave, the straight razor. 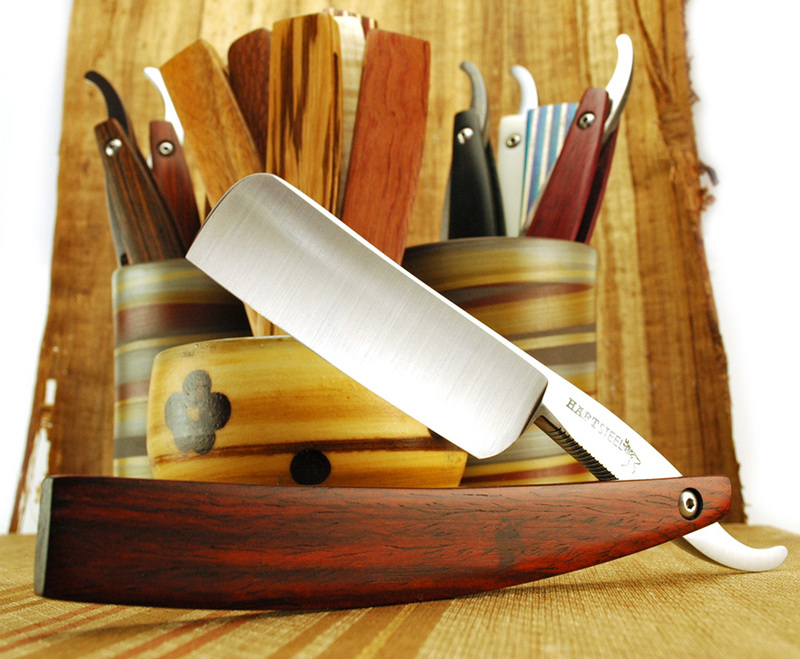 A quality straight razor, properly sharpened, stropped and oiled, will last you a lifetime. 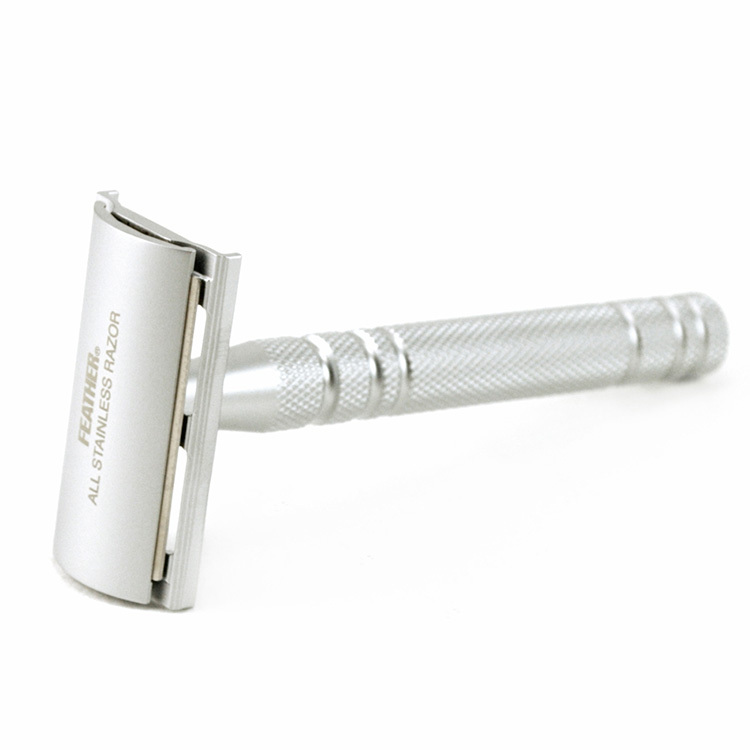 A safety razor and especially a straight razor require patience, practice, and art. Proficiency and finesse with a straight razor is entering a rugged, distinguished community. Cold water or cold towel feel great post-shave, and help close the pores. 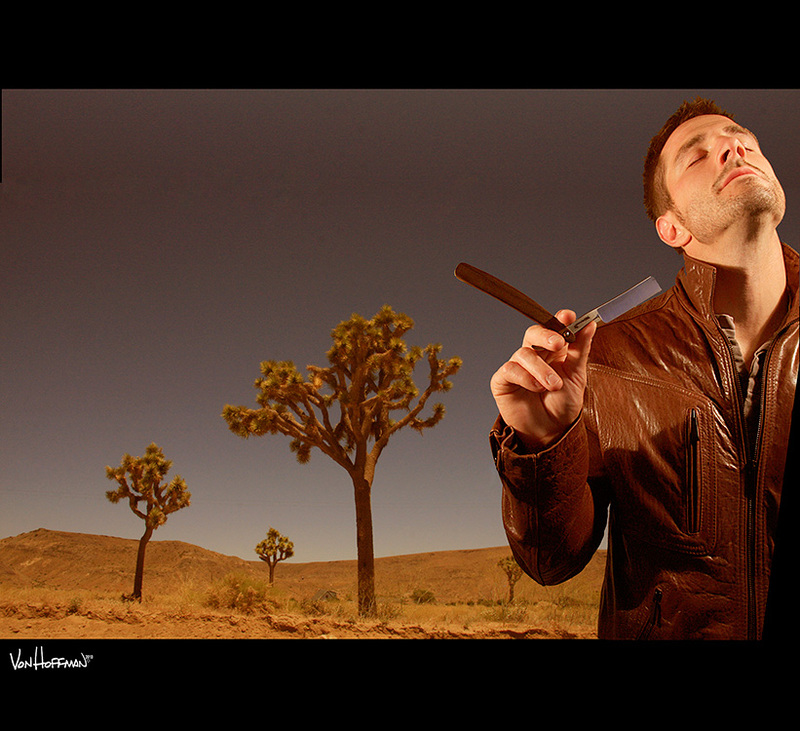 A quality aftershave reduces any irritation and gives the skin a strong glow. Again I stress getting natural, well-made products; most stuff in the supermarkets are brimming with chemicals that actually damage your face in the long run. With a little research, I learned it doesn’t matter how many tiny blades disposable razors pack in, nor how many tiny aloe strips they have, nor how many small batteries they put in to make it vibrate. 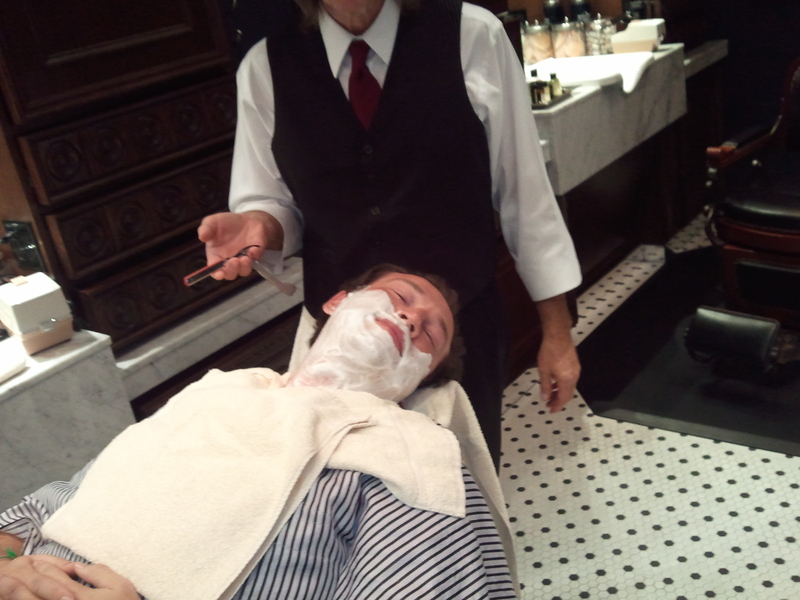 Nothing beats thorough preparation and learning to skillfully wield a solid, old-fashioned straight razor. 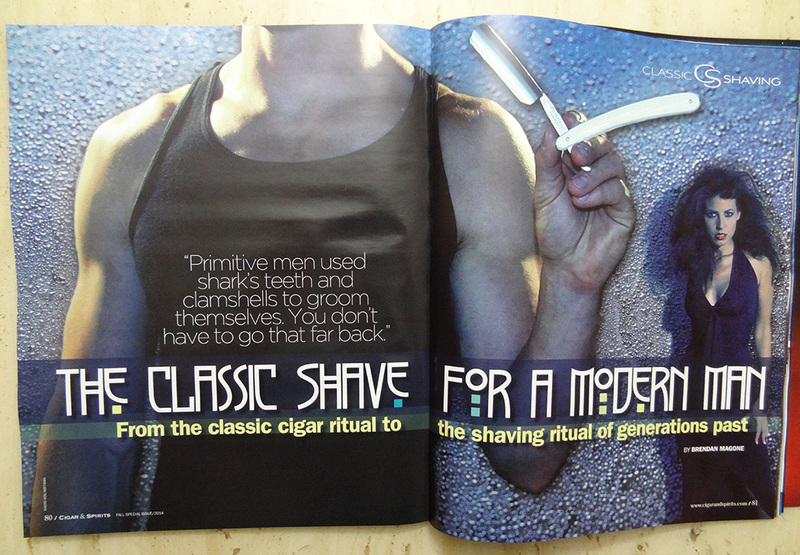 To glean further insight, I recently interviewed the CEO and the Managing Partner of ClassicShaving.com. These are William Lubrano and his wife, Danielle Dupont. I caught up with them while they were in San Luis Obispo doing some falconry. Will was the falconer. Falconry is defined as “the hunting of wild quarry in its natural state and habitat by means of a trained bird of prey.” Sounds like something The Most Interesting Man In the World would do. Will and Danielle also mentioned their long-standing involvement in many artisan and theatrical festivals, including management, demonstration, and performance. These details encapsulate my overall impression of them – a true Renaissance man and Renaissance woman who have great passion for interesting projects – and have found themselves front and center in bringing back the classic shave. They told me it all started with Danielle’s mother and father having a small business in 2003. Truly a “mom and pop” operation, selling handmade shaving soaps. The business kept growing and demand boomed. ClassicShaving.com officially started in 2006 with Will and Danielle taking the reigns. By visiting their website, you can clearly see the shaving masterpiece it has become. You have tips and tools for whatever classic stage you’re in, from pupil to master. Or as they label it, “Curious” for the starting point; “Inspired” for your first razor; “Enthused” to step-up that razor; and “Determined” for the straight razor. You’ll find a wide variety of razors and sharpening accessories like leather strops, brushes and shaving creams, plus lotions and tonics to help pick your signature scent. William mentioned that their biggest demographic is men from 18-35, which signifies the shifting change from using throw-away razors to having your own that you sharpen, oil, and maintain. He’s also thrilled at the positive press they’re getting, which includes MSNBC, Shave Magazine, Gizmodo, Details, Martha Stewart, and Cool Tools. All blades are heat treated in a molten salt bath. The salt protects the blades from decarburization and oxidation. To build lasting relationships with craftsmen like these, you need to treat people well and do solid work. And Classic Shaving does this on several levels. Their business is family-operated and highly-sustainable. They pay 80% of healthcare to their employees. Will even mentioned that children of employees can come to the warehouse to see what their parents do, and examine all the cool interesting products. Do you remember your fascination with your father’s or grandfather’s shaving kit? Danielle then continued discussing their fervor for well-made blades. 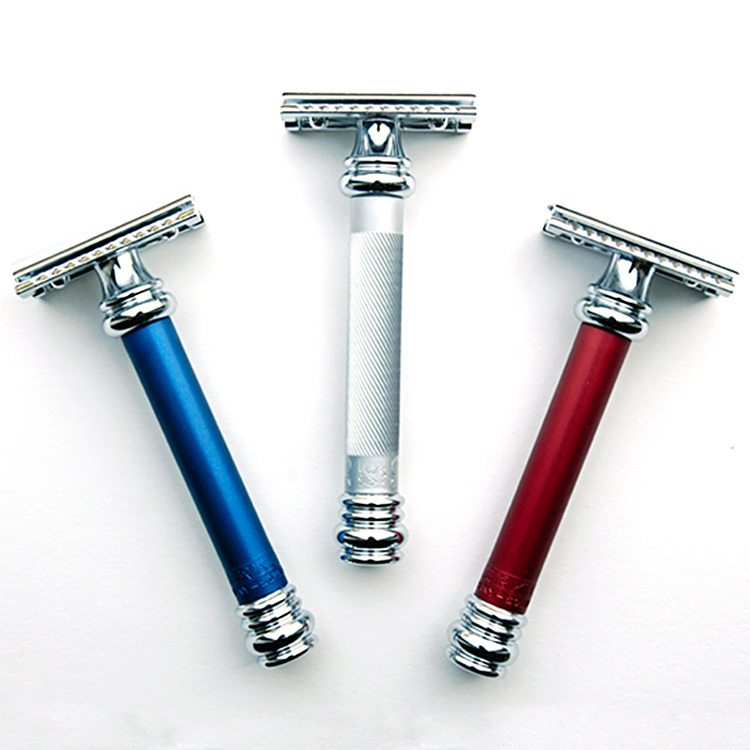 Before the classic shaving trend, the main makers of straight razors were in Germany and France. Sometimes a three-year waiting period was required for German products. Thankfully that’s changed. For safety razors, one of their favorite blades is from Feather Professional Blades, a Japanese company renowned for surgical instruments. For those customers who love the penultimate step of safety razors, and love these Feather Blades, Will and Danielle sought out a design for two custom razors to accommodate these blades. Meet The Cobra Classic and The King Cobra. Both are “a response to the wasteful, inefficient razors and blades dominating the market.” These have solid, metal construction (nickel-plated brass) and are considerably longer and heavier than generic razors, with flared bases that allow them to stand on their own, literally. These domestic products can easily last a lifetime, then be handed down. Will and Danielle stressed that most of their customers are end-product users. So that’s us. It also means they listen every day to customer concerns, complaints, and kudos. This helps them continually refine current products and create new ones. Danielle and Will also laughed and spoke of RAD, razor-acquisition-disorder. They love what they do and are constantly buying and trying new razors. Their products are for ladies, too, and wonderful for shaving a woman’s legs. She can, or you can. Something to try at home. Make sure you’re plenty practiced. You’re hoping to send her to the ballroom or bedroom, not a hospital room. Lots of customers tell them success stories. One shaver said using single blades eliminated his problem of ingrown hairs. Another 70-year-old was nearly in tears, telling them how Classic Shaving finally cleared up his complexion after a lifelong battle. If only he would have known this 40 years earlier! He said. Even dermatologists are talking to them, showing interest and asking questions. Looking way back, men have shaved for over five thousand years. In the 4th century BC, Alexander the Great strongly suggested shaving to avoid “dangerous beard-grabbing in combat.” He also thought it looked sharper. You’re unlikely to worry about dangerous beard-grabbing in combat, but his second point may still stand, as many women appreciate a smooth, great-smelling shave. In today’s business we want to be our best. In our personal life we want to be our best. Classic shaving provides a relaxing yet robust ritual that sharpens you mentally. Its finesse improves your confidence while its functionality leaves you looking great. You can take this classic version of a manly practice and incorporate it wisely in your present life. Two clean-shaven men and fans of ClassicShaving.com. Left, Brendan Magone, Founder & Leader Writer for LasVegasTopPicks.com. Right, Ricci Lopez, General Manager of Stitched Life Menswear inside the Cosmopolitan Hotel, Las Vegas. 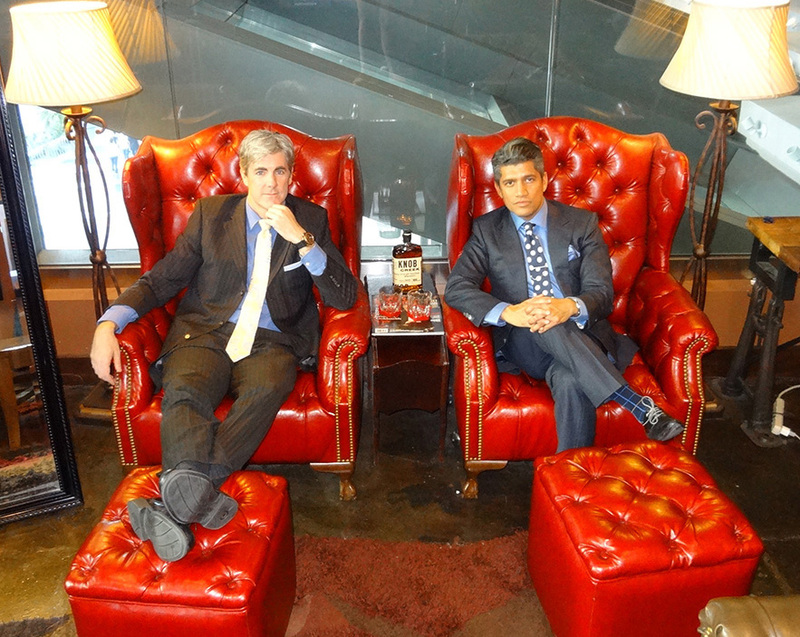 They’re having a drink in the swank men’s lounge of Stitched Life.